CAROLINA Constantino, outgoing head of the Department of Foreign Affairs-Bacolod City, said yesterday her office releases an average of 100 passports every day. 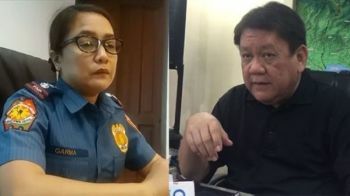 Constantino also said she is leaving DFA-Bacolod for a new assignment and that Florentino Granada who is assigned in Hongkong would take her place in September. An interim office-in-charge in the person of Sharon Fajardo has been appointed until the official assumption of Granada. Meanwhile, Constantino said that “Passport on Wheels” will be coming to the province. She said that the details and the schedule are being arranged by the governor. "We also would like to encourage the local government units to bring ‘Passport on Wheels’ in their localities to augment the appointments with the DFA," Constantino said. The “Passport on Wheels” could accommodate 250 to 300 clients every day. The DFA intensifies its campaign to bring passport and other consular services to distant cities and towns across the country with the arrival of its four new “Passport on Wheels” vans. The DFA said each van is equipped with five data capturing machines that can process 500 daily applications. With the additional units, the number of passport applications that can be accommodated daily has increased by 4,000. Recently, the DFA has faced criticism for its nonexistent online passport appointments slots for the coming months. Reports of syndicates selling passport appointments to applicants for a hefty price though some travel agencies also plagued the agency, which it already denied. THE Bacolod City Legal Office (CLO)-Enforcement Team will resume today, July 18, the demolition of 25 houses along the bank of Lupit River at Lacson Extension in Barangay Taculing following the lapse of the one-week extension. CLO head Joselito Bayatan said Tuesday, July 17, they have to implement the order because the city is also proceeding with the projects which have been delayed for almost six months. He said the demolition was earlier postponed after the City Council approved a resolution to observe a one-week moratorium for the transfer of the informal settlers to the relocation site in Abada-Escay. Acting mayor El Cid Familiaran also immediately ordered the CLO to temporary stop the demolition of the houses. “We also take time to further assessing the place because the geographical set up of the place is really a danger zone. They are prone to floods, earthquake and heavy rains or landslide,” Bayatan said. He said one factor that they have to consider in disaster risk management is the vulnerability. “So they are really highly vulnerable and there is no reason that they should be there,” he added. The CLO had earlier issued a notice of ejectment to the said residents, informing them of the plans to widen the Lupit Bridge. Bayatan said the city will continue the implementation of bridge widening project and they will put the bridge beams for the expansion of the bridge so the residents in the area should be relocated. “We already met them for several times and there was also a clearance from the Presidential Commission on Urban Poor if they are qualified for relocation,” he said. He said the Bacolod Housing Authority (BHA) was tasked to facilitate the relocate site, but if some of them did not process, it means that they have their own relocation site to transfer, not necessarily in the relocation site provided in Abada Escay. Bayatan also reminded the enforcement team to be careful and take precautionary measures in their effort to demolish the houses.